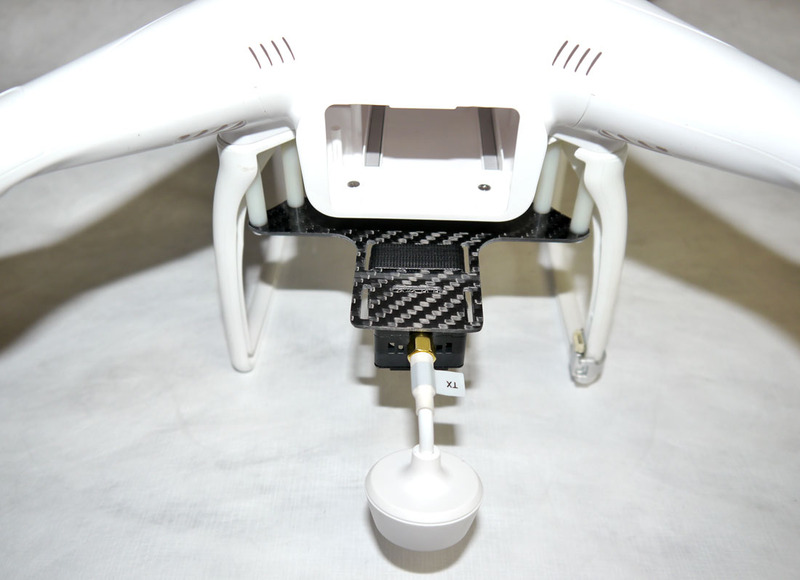 Attach a DJI 5.8 video downlink, waypoint datalink or any other accessory to the rear of your Phantom. 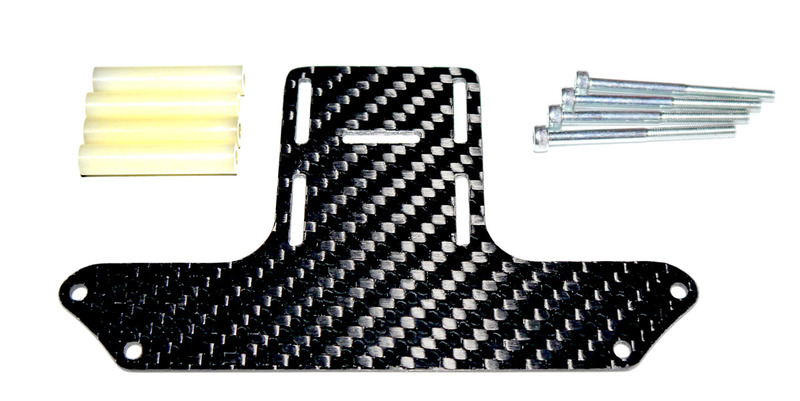 The Phantom VTX/Accessory Plate comes with all hardware needed and mounts to stock screw points on the landing gear. 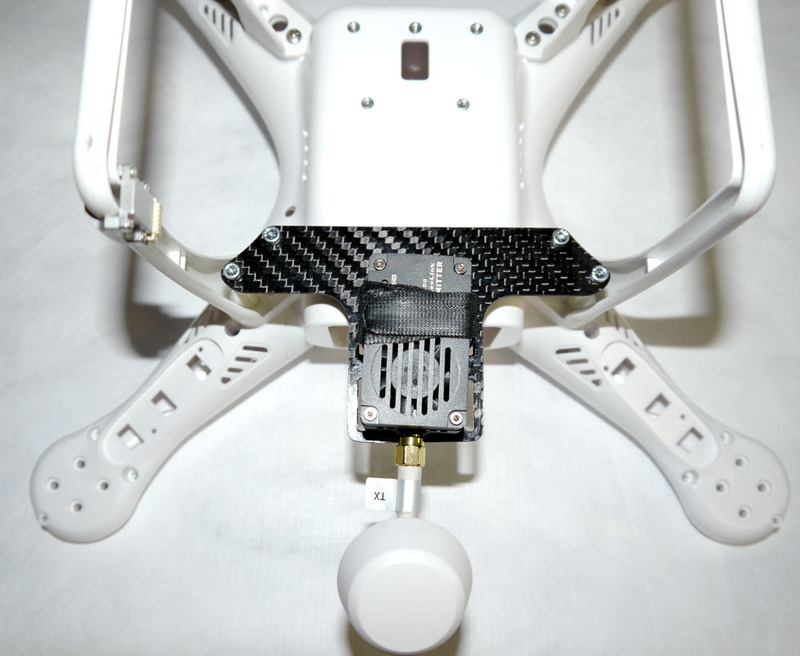 Securing your electronics to the bottom of the 40x65mm mounting area will allow you to remove and install the Phantom 2’s battery. To keep weight down, this plate is cut from 1.5mm 3k twill weave carbon fiber with a high gloss finish.